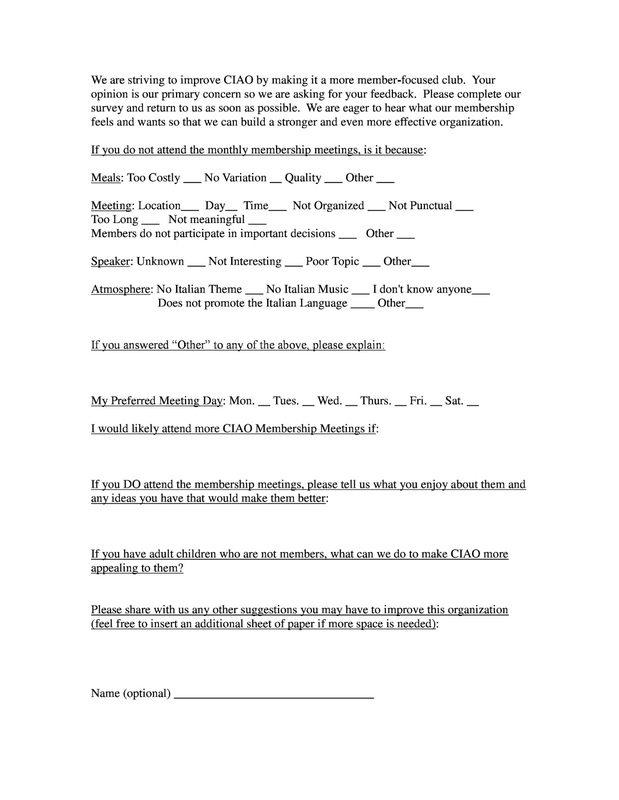 Member Survey - We are continually working to grow and improve as an organization. Your opinions and ideas are the key to our success. A copy of this survey was included in every member's August newsletter; if you turned yours in, Thank you! If not, please take a few minutes and fill it out for us. This is completely anonymous unless you choose to add your name. Feel free to print this survey from here at any time during the year and give to any Board member or officer or mail to us at: CIAO/ P.O. Box 1664/ Lima, Ohio 45802.